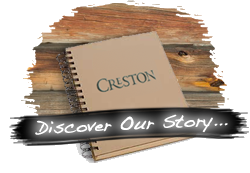 Creston is located about 9 miles to the charming town of Black Mountain via NC Scenic Highway 9N. First settled in the 1780's, the community was originally known as Grey Eagle. The name was changed in the 1800s in tribute to the lofty mountain range five miles to the north. Black Mountain's historic downtown has a variety of shops, galleries, antique stores, over 20 cafes and restaurants, as well as a museum, performing arts center, public library, music hall and a wonderful, old-fashioned hardware store. Numerous conference centers are located within a few miles of town, including Ridgecrest, Blue Ridge Assembly, The Cove, and Christmount. 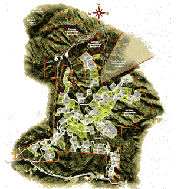 Adjoining Black Mountain is the village of Montreat and Montreat College, a small liberal arts college. Located in Western North Carolina, the town of Lake Lure sits in the heart of Hickory Nut Gorge, east of Asheville. The Rocky Broad River winds its way down through Hickory Nut Gorge, and the water flows through the valley that feeds Lake Lure. The Town of Lake Lure encompasses 13.25 square miles including the lake with a large central body of deep water, three long bays, and an island of seven acres. The lake is literally a tea cup surround my high mountain peaks. The climate is unusually temperate as Lake Lure lies in the “thermal belt” of the Western North Carolina Mountains and foothills.